Bed sheet for 4ft, 122 x 200cm bed in luxury 1000 threads to the inch fabric. 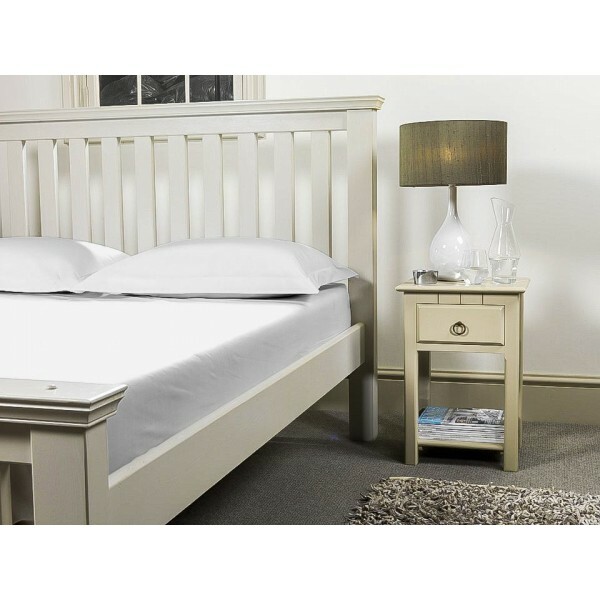 Small double beds are a popular bed size that are slightly smaller than a UK double. As they are a non standard bed size bedding can be hard to find, especially luxury thread count bedding. We cut and make 1000 thread count fitted sheets for a wide range of sizes including 4ft x 6ft 6". Our fabric is sateen finished for the ultimate in smooth fabric and makes a bed sheet that is unsurpassed. We make our 4ft x 6ft 6' sheets to any mattress depth. So our sheets can accommodate extra deep mattresses or if you have added a mattress topper. Just select your required mattress depth from the drop down box and we will add approx. 4-5 inches to your sheet for tuck under. Our sheets are made with an all round elastic hem to help keep the sheets in place. We also french corner our sheets (double stitched) making them extra durable against wear and tear, this ensures against any fraying after multiple washes / bed changes. Samples of 1000 thread count are available, to receive these please call 01706 220020 or contact us with your details. Fitted Sheet 1000 Thread Count Cotton. Hotel grade Percale.